China’s President Xi Jinping has arrived in France on the final stage of his European tour. Mr Xi travelled to Beaulieu-sur-Mer on the French Riviera where he had dinner with President Emmanuel Macron. The state visit comes amid concerns in the West about how to contain Beijing’s growing economic and diplomatic influence. In a letter published in Le Figaro newspaper Mr Xi called for more trade and investment between the two countries. 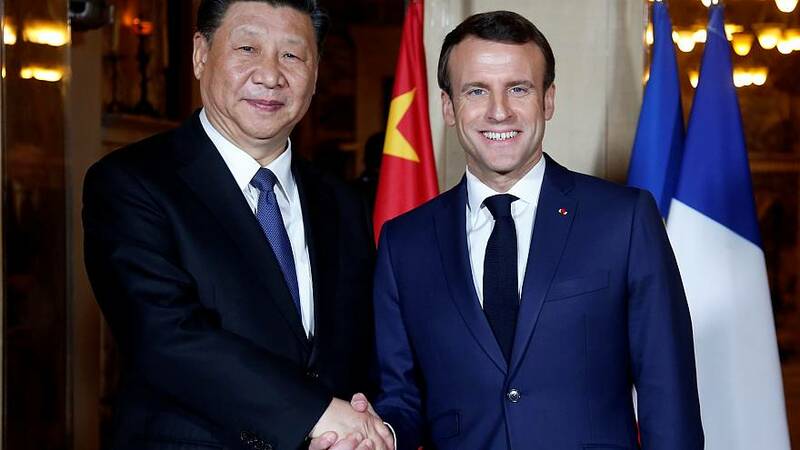 President Macron has said Europe needs a joint approach to relations with China, rather than acting as individual countries. His comments were aimed at Italy, which has angered its EU partners by signing up to China’s giant Belt and Road infrastructure project, aimed at expanding Chinese trade. The European Union is China's biggest trading partner, but many in Europe worry about unfair competition from Chinese companies that benefit from government backing. Mr Macron is expected to push for increased market access to China. Mr Xi will sign a number of contracts with Mr Macron on Monday, then meet European Commission President Jean-Claude Juncker and German Chancellor Angela Merkel on Tuesday.